Now that you've made the exchanges in your Christmas or Chanukah gifts, do you think it's time to begin thinking about the changes you want to make in yourself this coming New Year? Keep your resolutions realistic. When you honestly believe that you can attain your target, you'll work harder to move in that direction. Setting overly ambitious, idealistic targets that you're unlikely to reach can stop you cold even before you begin. Break your goals down into smaller parts that you can complete, one at a time. Baby steps taken one after another will transport you a long distance. You'll feel freer to continue knowing that each objective is within your reach. Visualize yourself accomplishing each objective you set. Athletes are more successful after envisioning themselves playing well. When you create a picture in your mind of going through each step you need to succeed, you'll find that the process is easier to finish. As you likely know, making the commitment to change is only the first part of actually achieving your goals. It can be difficult to stay on track and backsliding often becomes an issue. But you don't have to do it alone. 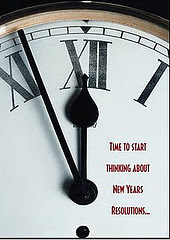 Visit our blog often in 2012 for practical tips to help you stay motivated and chart your progress as you move forward toward accomplishing your New Year's resolutions. When you reach your target, you'll recognize that all your hard work was well worth it. As card carrying members of the Sandwich Generation, do you ever come first in your long list of daily responsibilities? Make an exception over the week between Christmas and New Years. Take some well-deserved time just for you. Ask for what you need. Pronounce the Christmas meal potluck and don't feel guilty about it. If they insist, let your family help with the dishes after the holiday dinner. Accept your friend's offer to bring an appetizer - or even the main course - to the New Year's Eve party. Everyone will be glad to play a more active role and you'll have more time and energy to participate in the festivities. Give yourself a break. Arrange for your out of town guests to stay in a hotel - it actually may be a relief for all of you, and the beginning of a welcome new holiday tradition. Instead of worrying about all the desserts you've consumed, use that energy to take a brisk walk in the park. Or pay off some debt rather than taking the family on an expensive outing; they will understand and grow from the experience. Find emotional support. Are you facing the challenges of college kids coming home, integrating new in-laws into the family, caring for the growing needs of your parents or all of the above? Take a deep breath and call a friend. Share your feelings about what's going on in your family. Relish in getting it off your chest, some positive feedback, a different perspective or a good laugh. Give yourself a stress-free IOU and relax into the idea of some peace of mind. You really don't have to deal with the mall mob scene. This season give the gift of time together to your family members, and tell them it's the perfect gift to give back to you. It's a present that will let you all know how much each other cares, and it's sure to be the right size. Have a joyous and relaxing holiday season! Americans are very busy spending lots of money on gift cards. With the holidays now right around the corner, your stress level may be stuck on high. And if that's so, a medical gift card, which some credit card companies and health care providers issue, could be exactly what the doctor ordered. The targeted audience for these medical gift cards are members of the Sandwich Generation. They're the ones buying presents for parents who have increasing health needs. They're also looking to gift their kidults, who are concerned about fitness and in college or living on their own. This gift can be used toward a variety of health related services – prescription co-pays, medical or dental visits, contact lenses, even some wellness programs, elective surgery and gym memberships. We know you're probably trying to maintain a life in balance while still honoring the complexity of the holiday season. See if you can figure out what means the most to you. Then make a decision to focus on what you want to do, not on what you have to do. Let this time of year be a major step toward taking care of your own needs. As you begin to lay the groundwork for change in your gift giving rituals, treat yourself to better health by keeping your stress in check. Log on here tomorrow - we'll have some tips about taking care of you during the holiday season. 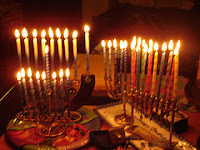 Did your holiday celebration begin last night with lighting the first candle, eating latkes, playing games and opening gifts? If so, we wish a Happy Hanukah to all of you! As a Sandwiched Boomer caring for parents growing older and kids growing up, perhaps you're feeling under more pressure this week. The days are flying by and there's still so much to do for the holidays. And you may not be finished shopping for your Hanukah, Christmas or Kwanzaa presents. How about a few more ideas that won't break the bank? Give of yourself. Enjoy time with your friends by inviting them over for an evening of fun. Organize a potluck and have them bring their signature dish. Cut down on expenses by exchanging memories instead of presents. Or express yourself and create some of your holiday gift items. Make a coupon book filled with orders for good deeds. Add a personal touch by baking and decorating cookies with the kids. Show others you care with an IOU to babysit so they can have a much needed night out. Give to yourself. Take some down time over the holidays and get comfortable with you. For a couple of hours each day, try not to focus on your problems. Curl up with a great book from the library, watch the ballgame with your teens or take your grandkids to the park. Enjoy peace of mind by paying down your debts. Hold back from buying lots of gifts or taking the family on an expensive outing. Decide together how to spend a fun and relaxing day. Your family will understand and grow from the experience. The holidays don't always have to look like a Norman Rockwell painting. You create more stress if you stick only to old routines and traditions. Try not to operate on automatic pilot. 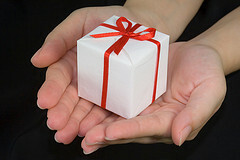 Begin to lay the groundwork for change in your gift giving rituals. As you can see, it doesn't have to cost you anything but time. And when money is tight and life is challenging, connection and support can mean the most. The economic struggles and crisis in confidence have lasted far too long. And the hardships are particularly evident during the holiday season. Are you feeling stretched by the financial pressure? 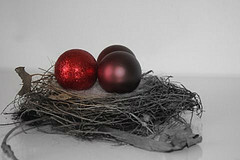 If you're facing tough buying decisions, the responsibilities of the holidays may even be getting you down. These are challenging times for the Sandwich Generation. This year you may just have to let go of the idea of a perfect Christmas, Hanukah or Kwanzaa. Give the gift of connection. Put more heart in your relationships. Arrange a regular weekly date with your parents. Invite them to lunch, a museum or the movies. Send a card to an old friend with whom you've lost contact. Enclose a recent family photo, your email address and a promise to keep in touch. Drive an elderly neighbor to the grocery store, a doctor's appointment or the library. Give to a worthy cause. Get the family or a group of friends together and spend a couple of hours helping out at a homeless shelter. Pass forward gifts you've received or bring some hardly used toys and clothes. Buy a small present for a homeless person you regularly pass on the street and make eye contact when you give it. Put a big smile on your face and help cook Christmas dinner at a soup kitchen. Make a donation to Aunt Mary's favorite charity; every gift counts no matter how much you spend. We appreciate your reading our blog posts and passing them on to your family and friends. Here's our early gift to you - thanks for your support and loyalty! Today we have a unique Virtual Book Tour for you - a married couple who each have published books of their poetry, Gloria Vando and Bill Hickok. Gloria has been writing poetry since she was in junior high school but for Bill it's a more recent avocation. Gloria's poetry has won her accolades and awards over the years and Bill has now received rave notices for his first book, published close to his 80th birthday. We welcome them warmly to our blog today to talk about their love of poetry. 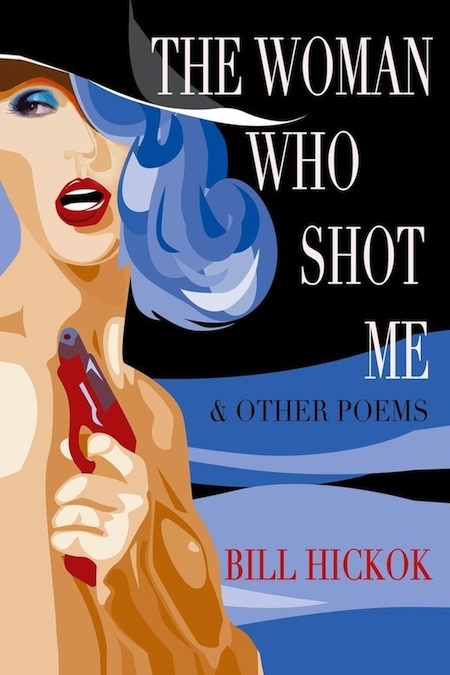 NR: Bill, you just published your first book, The Woman Who Shot Me & Other Poems, at age 80. As a cousin of Wild Bill Hickok and after a career in construction, how did you begin writing poetry? Bill: Actually I've been writing for years - it comes easily to me. When I have an idea, I can just start, with no writer's block. I've done many op-ed pieces for major newspapers - I enjoyed making them humorous. After meeting Gloria at an art opening in Kansas City over 30 years ago and getting married six months later, I began studying poetry. In 1992, we founded The Writer's Place, a literary center in Kansas City - and ever since we moved to Los Angeles, I've been active in a poetry workshop group here. NR: How do the poems in The Woman Who Shot Me reflect who you are now? Bill: The book is a mixture of memory, fantasy, and how I feel today. I'm lucky in that flashbacks to my youth will appear from years ago and I build on that to create a poem. At my age, I have a long span to look back on. NR: What's it like living with another poet? How does that affect your work? Bill: We're very supportive of each other. We have no ego in it. If one of us asks, "What do you think?" we'll give suggestions about how to add "meat" to the work - to move the reader through laughter, tears, recognition. 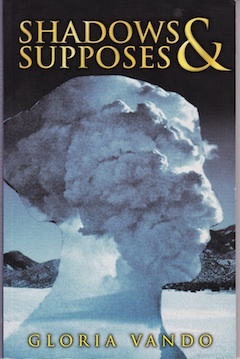 NR: Gloria, you've won numerous prizes and honors for your books, including awards for Promesas: Geography of the Impossible and Shadows & Supposes. How did you decide to dedicate your life to writing poetry? Gloria: It was never a conscious choice. I vacillated between three loves: philosophy, literature, and painting. I thought for a while I would be an artist. But every time I tried to make art I felt inhibited, as though I were communicating in the wrong language, writing with the wrong hand. The correct hand, the comfortable hand, drew words. But I think my love of poetry goes back to my childhood. I grew up in a family that revered literature. Every aunt, uncle, cousin could recite major poems by heart. My grandmother, with whom I lived as a child, regaled me with poems and stories. She was an avid reader and storyteller. My father was a poet and my mother’s first poetry book was published when she was 68 years old. My daughter, Anika, a singer-songwriter, is now writing poems too, so I suppose it runs in the family. As a child, I attended many Sunday afternoon recitals that featured Latino entertainers in a variety of art forms that included dance, operatic arias, string quartets, classical guitarists, and declamadores, who recited poetry and got standing ovations. Looking back on this now, I see that my early appreciation of poetry must have begun then. 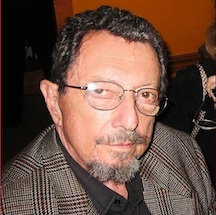 I was keenly aware of the deep and sincere respect the sizable Latino audience maintained for poetry and for those who wrote and recited it. I began memorizing poems at an early age. And I began writing them. NR: What part do you think your multicultural background has played in your poetry? 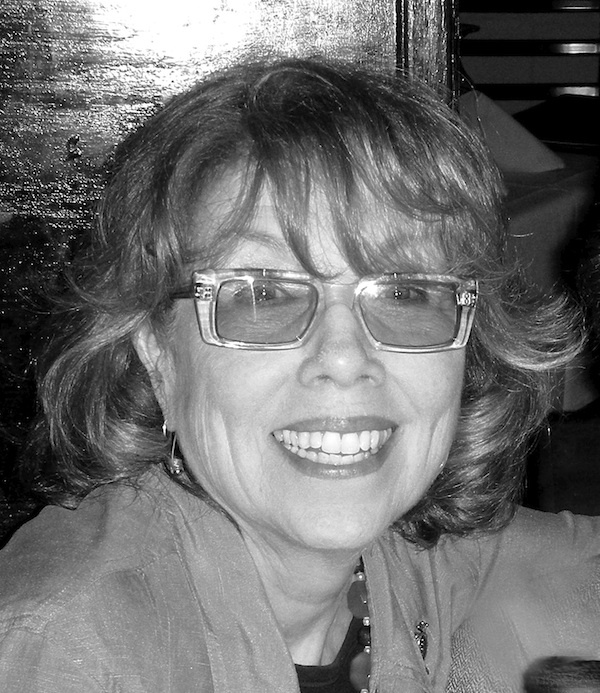 Gloria: As a member of two cultures I feel a part of, yet apart from, each one - a tricky balancing act, because poems have to be anchored somewhere. I enjoy my bilingualism. Many Spanish words have an emotional content for me that their English counterparts cannot approximate. To write solely in English would be less than satisfying in certain situations. And Spanish has a rhythm and music that I feel enriches my work, especially in my first book, Promesas, which deals with the immigrant experience and my family roots. One always hopes for a universal theme, one that touches everyone. As artists we are out of the mainstream, the outsiders, so it’s comforting to connect with others through our craft. I hope to gain understanding, empathy, acceptance of other cultures. There is entirely too much unnecessary suffering in the world. Perhaps I can help alleviate a bit of it. NR: What are your muses? Where does your inspiration come from? As a rule I prefer to write poetry late at night when it’s quiet and my censors are fast asleep. I let the poem take me wherever it wants. The initial writing is almost unconscious. It’s an adventure, a discovery. I write longhand, in pen, on blank paper so there are no lines to inhibit me. Then I transcribe it to my computer, print it out, revise it, print it out again, revise it again, and again. NR: In addition to writing poetry, you also publish others' works. Tell us a little about Helicon Nine Editions, where you are the editor-in-chief. Gloria: In 1977, I founded Helicon Nine: The Journal of Women’s Arts & Letters - we published the work of over 500 women artists, writers, musicians, and scholars. 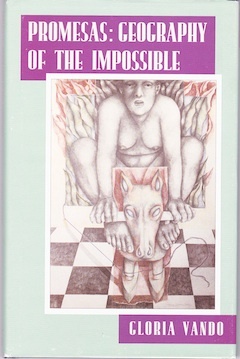 In 1990 it evolved into Helicon Nine Editions, a small press that publishes fine books of poetry, fiction, essays, and anthologies. NR: What's coming up for you now? NR: What's it like to work with your mother and daughter? Gloria: It’s a privilege and a pleasure. My mother is wise and talented and a survivor---she's 95. She's also very funny and we giggle a lot. My children are kind, gracious, generous, and they make me laugh. They care about people, the world, the animal kingdom, the environment - they're activists. And they're creative: musicians and in theatre. They are, in short, what we call in Spanish, buena gente (good people). They give me hope for the future of our planet. NR: What advice would you give to other women wanting to pursue a career in the arts? Gloria: Envision where you want to go and start there. Try to get lots of support. I have this ridiculous idea that I can do anything I set out to do. Now that's pure nonsense, because I'll never be able to fly. But I can soar in metaphorical ways. And you can too. Here’s a story I tell my students. I grew up reading T.S. Eliot, William Butler Yeats, and the other gods of that generation. They were a tough act to follow - not to mention Shakespeare. I once asked Virgil Thomson, the American composer, who had studied music in Paris with Nadia Boulanger, why so many young American composers went to Paris to study with her. “Because,” he said, “she gave us permission not to write like Beethoven. She gave me permission to write like me, a young Baptist from Missour-ah!” I was so happy that I hugged and kissed him, because he had given me permission to write like Gloria Vando—in other words, someone with a unique vision to share and to celebrate! NR: Our thanks to Gloria and Bill for joining us today and reminding each of us that we have permission to be our authentic selves. If any of you aspiring artists out there have questions for our poet friends, click on "comments" and let us hear from you. Amidst all the celebrating during these holidays, if you're a Sandwiched Boomer, torn between caring for growing children and aging parents, you may be bogged down by your responsibilities and having a hard time getting into the spirit of the season. I know I did when I was taking care of my parents a decade ago. They moved in with me after my mother developed cognitive impairment due to a stroke, and they lived with us until their deaths years later. When I was just too exhausted, my husband insisted we get help and that made a huge difference in all of our lives. While you're busy caring for others, remember to take good care of yourself too. Make time for fun and take advantage of free time you set aside for yourself. You can nurture yourself even when you're focused on nourishing others. Remember what Ben Franklin said about how to keep yourself young: We do not stop playing because we grow old, We grow old because we stop playing! If you're a Sandwiched Boomer, we've got some resources to help you take better care of yourself, manage daily hassles and reduce long-term stress. Use them to create some energy so you can enjoy the holidays this year. AARP recently hosted an event focused on identifying what can be done to support caregivers, bringing together 10 authors - including Gail Sheehy and Walter Mosley - who have hands on experience themselves caring for loved ones. You can view the archived webcast of the event on the AARP website. If you're caring for a loved one at home, find out about respite care options and caregiver resources that will give you the break you need. You may want to consult the Private Duty Homecare Association, which is devoted to overcoming the challenges of aging in place. And you can a look at their past webinars on various aspects of at-home care, which may help your loved one maintain a sense of independence and feelings of security. Home Instead Senior Care can also help overcome obstacles in assisting your loved one's aging in place, including gift ideas for the holidays. 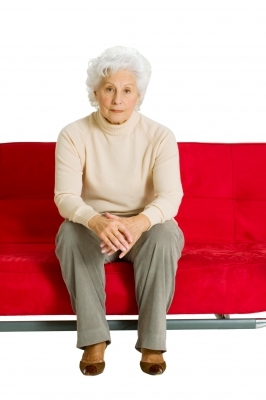 When you feel you are no longer able to care for a loved one by yourself, you may begin looking for other options. Assisted Living Today has compiled a series of articles to help determine the best type of care for your loved one. Especially helpful is the information in their Assisted Living Care Guide. For those of you who have a parent with Alzheimer's or other dementia their Memory Care Guide provides facts about different types of facilities caring for those with Alzheimer's Disease as well as questions and answers to help you make decisions about caring for your loved one. November was Alzheimer's Awareness month, bringing attention to the estimated 5 million who suffer from this disease. The Alzheimer's Association provides information and support to those with Alzheimer's as well as for their caregivers. If you want to read more about eldership, AgeSong features Dr. Nader Shabahangi who has been writing about the aging process and the need for community to ensure a positive outlook - for caregivers as well as their loved ones. You may find his white papers interesting and informative, especially if you're caring for a loved one. Treat yourself to an important holiday gift this year - your decision to take good care of yourself even with the pull of your aging parents and growing children. You deserve it. "To score on and off the field, your child must first have clear goals and the will, knowledge, and discipline to attain them," says Bruce Beaton. 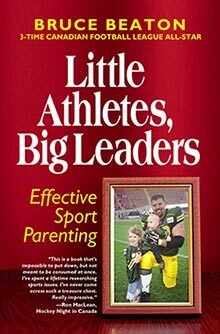 He's a Canadian Football League All-Star, two-time Grey Cup winner and author of Little Athletes Big Leaders: Effective Sports Parenting. Benton says, "Children generally model what they see, and react less effectively to what they hear, especially when the two contradict. Why not set a goal to teach children by example, and then use your voice to question, guide, and connect?" As a role model for your kids, this may be reinforcing what you already know or a wake-up call. Beaton warns parents not to be negative with their sports parenting. "Our positive talk will become their positive self-talk, and we will create an enthusiastic athlete who loves the entire learning experience." He encourages parents to notice and comment often on their kids' hard work, team spirit, persistence, winning attitude. Purposeful daily work is the key to forging strong character. And practice leads to mastery and self confidence. Benton writes, "You can teach them that focusing on a proven, effective approach, rather than dwelling on short term results, is the key to both peak performance and long term success. The expectation is simply for them to do their best every day in order to be the best they are capable of being." If you're a parent, remember that little eyes are watching and little ears are listening. Your children see potential through your eyes, create connections through your hands and discover opportunity through your choices. You are the filter through which your kids learn how to get along with others and how to make a difference in the world. Help them build their character and skills while they build their goals and dreams. On Bruce's website, you can read more about him, his ideas and his book. Your children may or may not do as you say, but chances are they'll do as you do. There's no getting around it. You serve as a role model through your attitudes and behavior inside and outside the family. Just remember, someone impressionable is watching, listening and learning from your example. Solve problems. Children need to know how and why you make the choices that you do. They learn what you value every time you make the extra effort. Your decisions don’t only impact you, so talk to them when you consider your parents' needs before your own, put money in their college fund, help out in the homeless shelter. Show respect. Do you sometimes take your partner for granted or step over co-workers in order to get ahead? Try to take the moral high ground by practicing how to apologize, forgive and express gratitude. When you model ethical decision-making and follow it up with appropriate behavior, you enhance your children's understanding of how they can feel good about themselves and do the same for others. Admit mistakes. Ever been caught swearing in traffic? Nobody’s perfect. Coming clean can have a powerful influence on your kids' emotional growth. When you have a tough choice to make, allow them to see how you work through the problem, weight the pros and cons and come to a decision. By sharing your efforts to resolve conflict at work or calmly discussing family problems, they learn non-aggressive responses to stress, frustration or anger. Think positive. Talk about your own role models growing up. Let your children observe you setting and reaching your goals. Introduce them to role models with admirable qualities who are working to make a difference. When you see them demonstrate praiseworthy characteristics, be sure to let them know. Teach them to continue striving for what they want while being happy with how far they've already come. While your children are busy taking their cues from you, recognize that actions speak louder than words. Getting out of your comfort zone will challenge them to do it themselves. Your appreciating diversity will encourage your kids to accept differences, including their own. Let them know what you stand for and embrace your hopes and values. Live as if someone is watching, because they are.